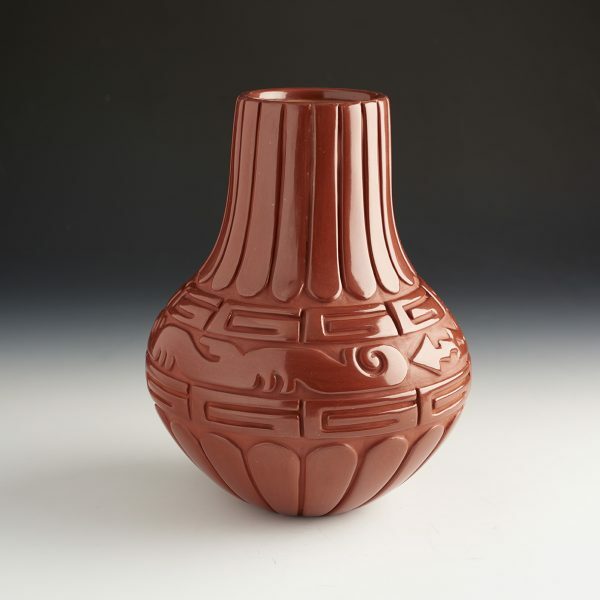 This is a stunning red long neck water jar by Linda Tafoya Sanchez. 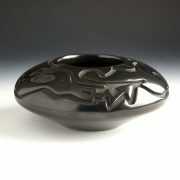 The jar is coil built, carved and stone polished. 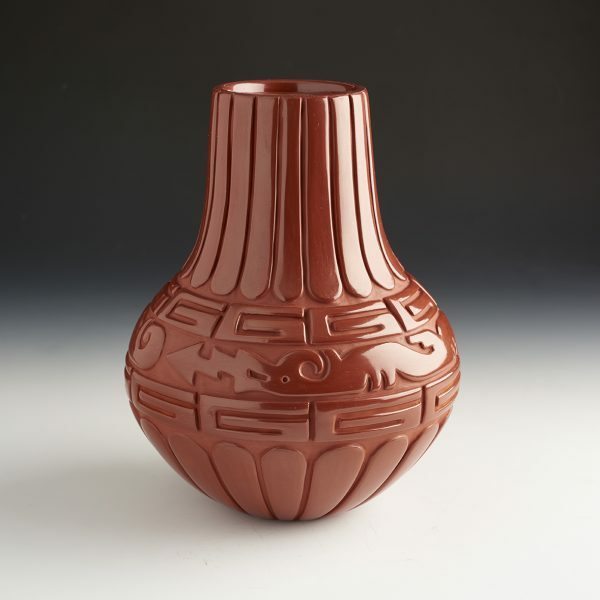 The design around the neck has 19 rounded feathers carved into the clay. Below the feathers is a band with the “walking bear paw” design. 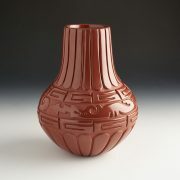 This is a pattern which her grandmother, Margaret Tafoya, utilized in her pottery. There are two avanyu (water serpents) encircling the piece. Note the shape of the head of the Avanyu on her pottery with the square mouth. That is the same shape as her father Lee used on his pottery and hers always remains a tribute to her art and pottery education. Below the avanyu is a walking bear paw design and then finally a larger rounded feather pattern. The jar is deeply carved, and the red is very highly polished. The background area is a matte red clay, which seems to intensify the polished red surface. The complicated designs add to the dynamic appearance of the piece. 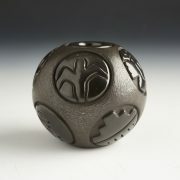 The quality and creativity in Linda’s carving are so apparent on this jar! It is signed on the base.